July 17, 2013 In an article posted on the MB website titled ‘The Military Republic Of Tawadros,’ Dr. Hilmi Al-Qa’oud claimed that the Coptic church was behind the military coup against Mursi. He wrote: ‘The Church is unsettled since the January  revolution, and since the Islamic movement emerged on the scene and garnered massive popular support by elections and by referendums. Accordingly, [the Church]openly and secretly led the process of opposition to the Islamic stream and this stream’s rise to power. [The Church] gathered around itself the secular minorities – Communists, Nasserites, liberals, opportunists, and mercenaries – in addition to [its]advance rebel force, established by [the late Coptic patriarch]Shenouda [III] in the form of what he called youth movements or human rights activist [corps]… and they are joined by the traitor rebels from the diaspora, who [in July 2011] declared the establishment of the independent Coptic state. “They all sang the praises of the civil state, and attacked the religious – that is, Islamic – state. The satanic propaganda machine led by the mercenaries demonized the Islamic stream and portrayed it as having failed… Since the Islamic stream refrained from acting against this disgraceful crime, out of self-respect and [with the aim of]preserving the homeland, and also because it has few media outlets, many believed the rumors and lies that were spread… [and came to see]the Islamic majority as a Satan that must be stoned by all possible means. It is this that led to the military coup. “In recent days, the Church has praised the mercenary Tamarrud movement, with [Coptic Patriarch] Tawadros expressing his happiness over its existence and over the June 30 protests by secularists and by sectarian [elements, i.e. the Copts], and encouraged [the Copts]to participate in them. Likewise, Christian satellite TV channels ceaselessly incited [their viewers]against the Muslim president [Mursi] and the Islamic movement. [Thus, for example] a female Christian rebel broadcaster declared, ‘Christ’s blood must fill the [city]squares,’ and sectarian rebels claimed that Islam would end on June 30 and that they would never accept shari’a rule. 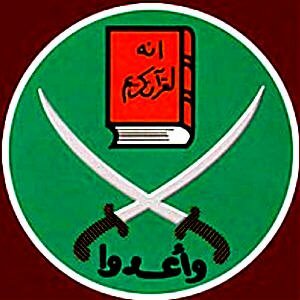 America ‘gave the green light to the [Egyptian military] officers to undertake their coup; isolate, kidnap, and hide the first freely elected civilian president; and suspend the constitution and dissolve the Shura Council,’ Muslim Brotherhood adviser and spokesman Mahmoud Ghozlan wrote in a Tuesday article originally published in Arabic on Ikhwan Online. Ghozlan promoted multiple anti-American conspiracy theories, claiming that the United States secretly opposed Morsi for failing to embrace ‘its subsidiary Israel,’ as well as for enacting Islamic law in Egypt. ‘America was keen to keep Egypt a weak country vis-à-vis Israel and protect it from any change in Arab policy towards it,’ Ghozlan wrote, according to a translation of his article performed for the Washington Free Beacon by the Foundation for Defense of Democracies (FDD). Western opposition to Morsi ultimately led it to support ‘terrorist acts that reached the point of killing in mosques, after they blockaded, destroyed, and set on fire to the headquarters of the Muslim Brotherhood and the Freedom and Justice Party,’ Ghozlan claimed. The Brotherhood leader further alleges that the United States secretly ‘paid $105 million over several months to Egyptian and foreign organizations’ to foment chaos in Egypt ahead of the January 2011 protests that brought down former Egyptian President Hosni Mubarak. The goal of this clandestine campaign was to prevent Morsi and the Brotherhood from rising to power in Egypt, Ghozlan claimed.